Today we are going to discuss Why you MUST Hire A Real Estate Professional. It is important to hire the right professional to get you through your real estate transaction. This is one of the most important aspects of real estate selling and purchasing, and it shouldn’t be overlooked because without the right professional attention you could be in for a world of unnecessary stress. The right professional selection starts with the right agent. If you’re a buyer I have good news for you. Buyers spend zero dollars hiring top quality agents because sellers pay commission. And if you’re a seller and you’re thinking, “I want to sell ‘by owner’ because I want to save my money”, I’ve got news for you. You never save money, but you will increase stress. Too many sellers come to our law firm overwhelmed at the process that goes into selling real estate on their own. If you hire a top quality real estate agent as a seller, you’re more likely to get more money for your property, thereby offsetting the cost of that agent and potentially pocketing a significantly larger sum from your sell. Therefore, the importance of selecting the right real estate agent cannot be over stressed. Start the transaction right. End the transaction right and find a quality real estate agent for your real estate transaction. If you have questions about your real estate deal, feel free to give us a call or email us, we’re here to help. Prior to a real estate closing, we are often asked, “how should I take title to the property I am buying.” Consequently, we shall discuss the common forms of vesting residential ownership that every buyer should be aware of prior to completing their real estate transaction. Because real estate property is among the most valuable of assets, the question of how parties take ownership of their property is of great importance. The form of ownership taken (the vesting of title) will determine who may sign various documents involving the property and the future rights of the parties in the transaction. Tenancy in Common. Title held by two or more people. Each has an undivided interest in the property and share equal rights to use the property, despite any inequality in their interests. No right of survivorships exists. Individual tenants in common may sell or will their interests without participation or agreement by co-tenants. Upon death of co-tenant, probate of the estate is generally required to transfer the interest. Joint Tenancy. Each tenant owns an undivided interest, with equal rights to use the entire property. The interests must be equal and each tenant has a right of survivorship. Upon death of a tenant, the interest passes automatically to the survivor. Trustees of a Trust. A trust is an arrangement in which legal title to property is transferred by a grantor to a trustee, to be held and managed by the trustee for the benefit of beneficiaries named in the trust. Most residential titles are not held in entity names. However, title to real property may also be vested in a corporation, parternship, or limited liability company. Are you in interested in purchasing property located within a homeowner’s association? Well, you should start by understanding as much about the homeowner’s association as possible. Here are several facts you should know about homeowners’ associations before you purchase a property located within a homeowners’ association. (1) The Costs. Living in a homeowners’ association can be expensive. You will be expected to pay fees to maintain the common elements. Those fees can be increased every year. Moreover, you may also be required to pay for periodic special assessments for emergencies. 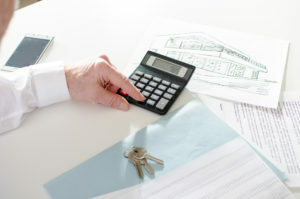 Therefore, you should study the homeowners’ association’s finances in great detail before you purchase a property located within a homeowners’ association. When looking through the financials you should determine how often and by how much the association has raised their dues and passed special assessments to determine if said increases are reasonable or not. (2) Restrictions. One of the main obligations of a homeowners’ association is to maintain the common areas. This means you may be restricted from painting your unit certain colors. You may also be restricted in selling and/or renting your unit. There may also be pet restrictions and landscaping restrictions. It is therefore imperative that you understand the exact nature of the restrictions in place before you purchase your unit. (3) Foreclosure. In Florida, our legislators have armed homeowners’ association with a lot of powers to ensure compliance with the homeowners’ association’s rules and regulations. This includes initiating foreclosure proceedings against you for your lack of payment of dues owed even if you are current on your mortgage. Under this scenario you would ultimately lose your property to the homeowners’ association in a foreclosure should the homeowners’ association file suit against you. Therefore, you should not engage in any activity that would trigger a default and result in a foreclosure. Research the homeowners’ association thoroughly before you complete your purchase. Make sure you understand exactly what you’re getting into before you make that purchase. You should engage in all of the necessary due diligence to understand the strengths and weaknesses of the homeowners’ association. 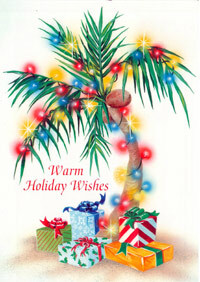 Wishing you and your family all the best during this holiday season, as well as peace and prosperity in the New Year. Back in September of 2011, we discussed the impact of the Third District Court of Appeal’s ruling mandating that developers must keep pre-construction deposits in separate escrow accounts. However, the Florida Supreme Court has since reversed that ruling. In so doing, the Florida Supreme Court concluded that the deposits could be kept in one account so long as the accounting was done separately and the monies were not commingled with the developer’s own money. The Florida Supreme Court’s ruling clears up an ambiguity regarding Fla. Stat. Sec. 718.202 and the requirements set forth in that statute governing the maintenance of pre-construction deposits. 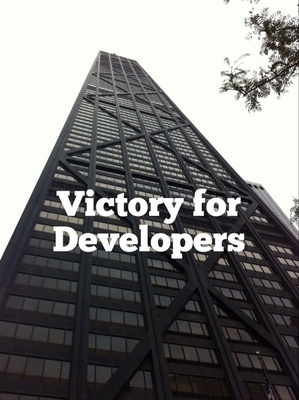 Simply put, the ruling is a significant victory for developers because developers are now free to keep money from condo buyers in one account so long as that account is not commingled with the developer’s money and proper accounting is kept. 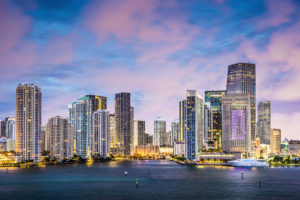 This is a significant ruling that will no doubt have an impact on both ongoing development as well as many South Florida legal battles that continue to rage on in South Florida’s courts. Since the real estate market went bust back in 2007, developers and pre-construction contract buyers of condominiums (many of which were never built) have flooded South Florida’s court system with lawsuits. Many of those lawsuits focus on the buyer’s effort to have their deposit returned. In most cases, those deposits were either 10 or 20 percent of the purchase price. Florida Statute Sec. 718.202 protects condo buyers’ deposits of up to 10% of the purchase price and forbids developers from using that money during construction. Failure to adhere to the statute may result in 3rd a degree felony against the developer. However, the developer is permitted use funds in excess of 10% of the purchase price for construction purposes. But Fla. Stat. Sec. 718.202 imposes certain requirements on those funds too.